We began arriving from lunchtime onwards on Friday and advance parties were soon out discovering the best watering holes! 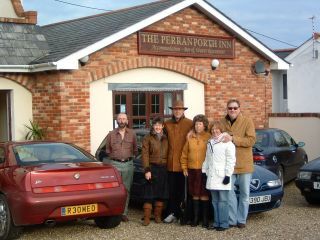 We were again joined by our friends and fellow enthusiasts, such as David and Cynthia from Hampshire. On Sunday we met up with local friends and enjoyed generous hospitality at one of their homes before a satisfying Sunday lunch at the Smugglers Inn, accompanied by the music of a fantastic trad. jazz band. 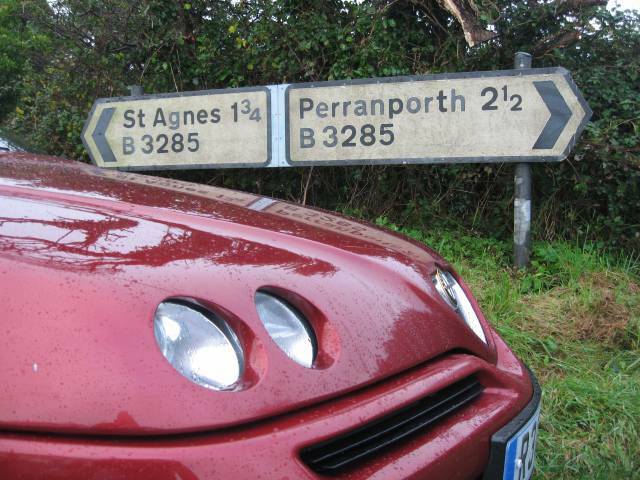 With our appetites sated, we set off for a scenic jaunt around the twisty roads of the Pentire Peninsular. We saw mile upon golden mile of empty beaches being lashed by tumbling surf ridden by hardy souls in wetsuits on swooping boards. As the light faded we chased the setting sun back to base. 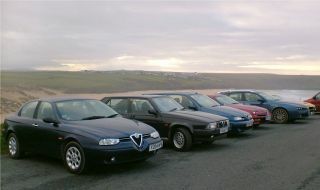 Some of our number had to leave before our Sunday supper but there were enough of us left to discuss "where to next?" and to plan our trips back to Glorious Gloucestershire the next day.